Bangladesh police have shot dead 13 drug traffickers and arrested thousands on Sunday in an aggressive campaign against the surging trade in methamphetamines and other narcotics, Channel News Asia reported. Four drug dealers were killed on early Sunday in separate raids, police said, while the elite Rapid Action Battalion said its forces had killed nine others since Tuesday. Around 2,300 suspected drug traffickers and users had been arrested, the battalion said, in raids since early May. An estimated US$2.5 million worth of drugs had been seized. Authorities last week warned traffickers to surrender or face the full force of the law. Police have vowed to stamp out drugs, most notably “yaba”, a popular street pill made of caffeine and methamphetamine that is doing a roaring trade in Bangladesh. The alleged dealers all died in what authorities described as shootouts, but parallels have been drawn to the Philippines where police have been accused of executing suspects. “We have spoken to families of some victims. They said the victims were killed extra judicially,” said Nasiruddin Elan from local rights group Odhikar. Authorities have been struggling to control a huge surge in yaba crossing its southeastern border from Myanmar, where the cheap pills are manufactured by the hundreds of millions. 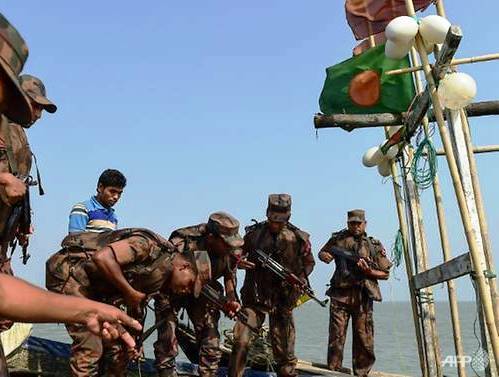 Officials say the bulk of the drugs entering Bangladesh last year were brought by Rohingya refugees fleeing a military crackdown in Myanmar. The drugs were being stashed on fishing boats bringing the persecuted civilians into Bangladesh. Some refugees were being used as mules, officials say. Authorities last year seized a record 40 million yaba pills but said an estimated 250-300 million others managed to enter the market. A director at the narcotics control department predicted that US$600 million worth of yaba could be sold on Bangladesh’s streets this year.